This THOW was built with a lot of reclaimed and Salvaged materials. 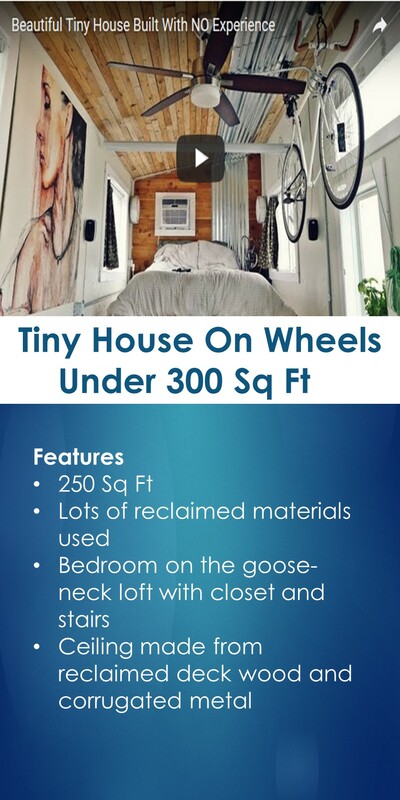 It is a 250 Sq Ft tiny house. It also uses the vertical space, within the house, efficiently.